A collection of Swedish ponies that were successful at different levels and in different disciplines in 2016. We are beginning to see the end of another year and we can tentatively begin to summarize the Connemara year 2011. The competition season still continues with indoor events so there may still be changes in the performance rankings before the year is over, but the in hand shows and the young pony events have all been completed. 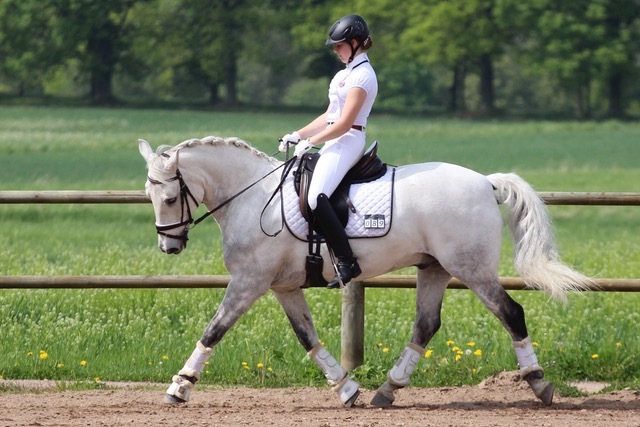 In the dressage ranking Backens Lotus (by the Elite premium stallion Rolls Royce out of Princess Jasmin) has continued to do well throughout the season and he is the highest ranked Connemara in 17th place. 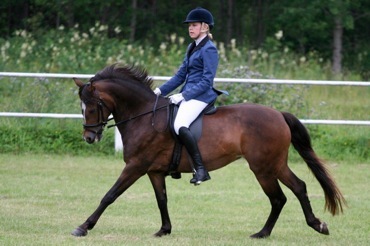 In the Swedish dressage championships he could not quite manage to repeat last year’s silver medal but was still placed fifth among the 130 – 140 cm ponies. 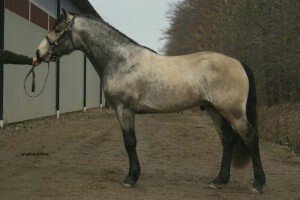 He has now been advertised for sale and will most likely bring on a new young dressage rider next year. 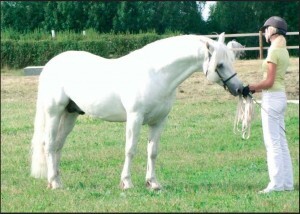 The second highest ranking dressage Connemara at the time of writing is the blue eyed cream Tic Tac (by Countach Campbell out of Ko ̈hls Rapsodi) who is presently in place 59, just a few points ahead of his cousin Ko ̈hls Evelina (by Shirley’s Thunderbell out of Hagens Ellina) in 60th place. Both Countach Campbell and Shirley’s Thunderbell are by snother Elite premium stallion, Brantshammar Bell Dara. Shirley’s Thunderbell has another daughter in the top 100, Evelina’s full sister Ko ̈hls Fidolina who is presently ranked number 88. A new name on the top 100 dressage ponies is Lofty Roseanne (by Ashfield Cathal Crobdhearg out of the Elite premium mare Rolo) who is ranked number 74 at the moment. The partbreds Poetic Poetry (by the Elite premium stallion Poetic Justice) and Chopin AM (maternal grandsire Tootle U) have also continued to do well during the summer and autumn and are now in place 36 and 39 respectively. 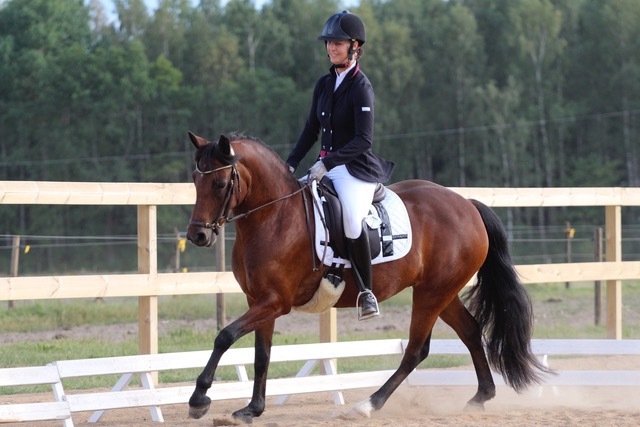 Poetic Poetry was placed 8th in the Swedish dressage championships and he also participated in the Nordic dressage championships where he was part of the bronze-winning Swedish team. 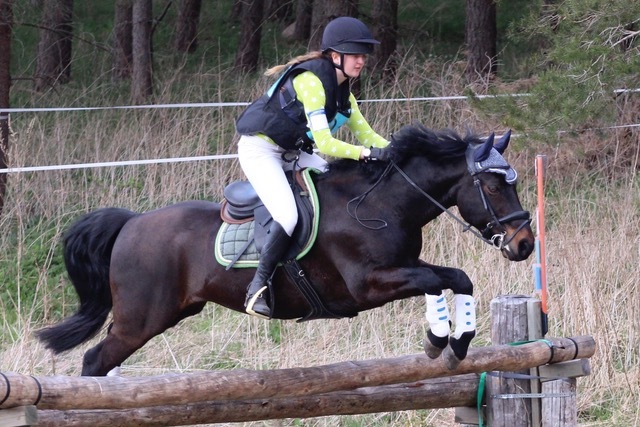 The interest in eventing has been fairly low in Sweden lately, but it now seems to be on the increase and with the eventing season over there are seven pure and partbred with eventing competition points. 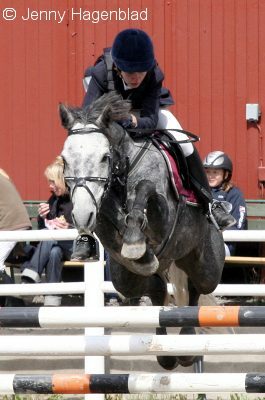 The highest ranking eventer for 2011 is the old partbred Connemara trouper Casper (by Cannon). The highest ranking purebred is another old veteran, the stallion Nice-n’-Curly (out of Corinne II), by the Elite stallion Nice-n’-Easy. 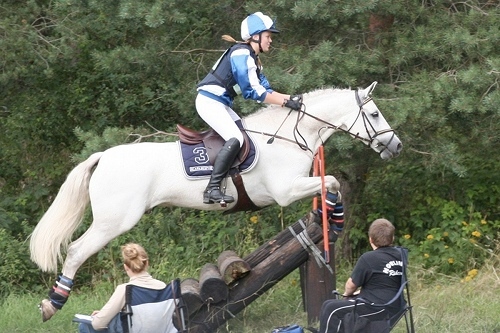 Nice-n’-Curly participated in the Nordic eventing championships where he took a creditable individual bronze medal. Mosquito R (by Calvin Klein out of Marion Jones S) finished 25th and Glendun Lad (by Moyans Little Monkey out of Murphy Blue) finished 46th. There are also some new names on the list of Connemaras with eventing points. Kasper Kavat (out of Carnaby Kajsa Kavat), another pony by the above-mentioned Countach Campbell, finished in 17th place, ahead of the partbred Lakeview Decs Joy (by Ballintub- ber Lad) in 19th place, Calabash (maternal grandsire Gloves Duke) in place 28 and Moon Struck (out of Moon Light) in 27th place. 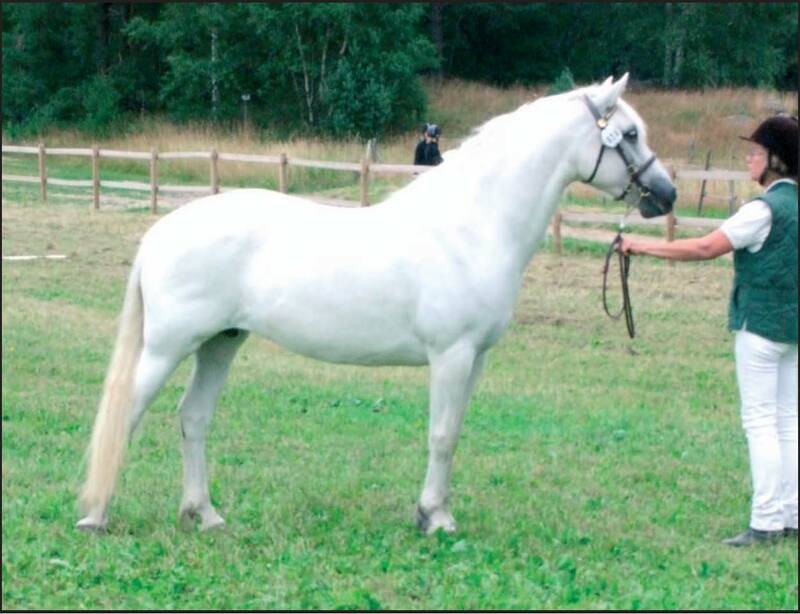 Moon Struck’s sire Uranus was himself a suc- cessful eventer in the 1990’s winning the individual Nordic championship gold in 1998 and a team gold in 1999 as well as individual gold and silver at the Swedish eventing championships in 1996 and 1999 respectively. 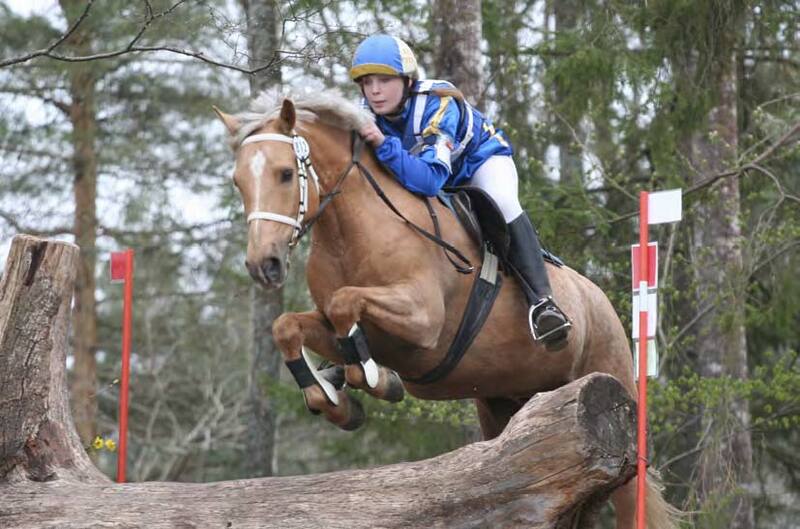 This year, for the first time, Connemara ponies have been able to compete for the title Swedish Connemara champion in eventing. The title was awarded together with a compe- tition open for all breeds and the title went to Halle Salix (by Ashfield Cathal Crobdhearg out of Saga). 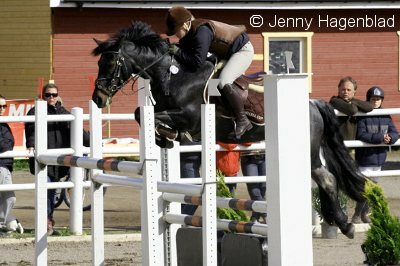 Among the show jumping top 100 ponies there are no less than 17 pure and partbred Connemaras. 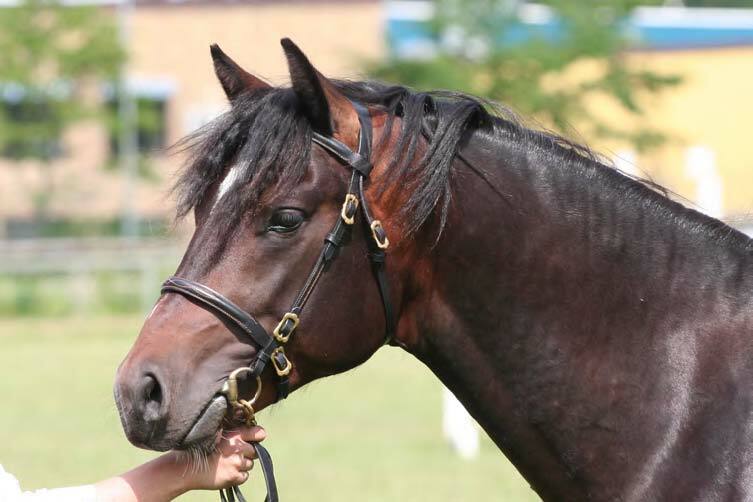 Three of the purebreds are Swedish-born: Desdemona (by Brolo ̈tens Joop out of Ti-Ti-Oo) in 12th place in the ranking and taking 10th place at the Swedish championships;Phalcon(bytheElitepremiumstallionO ̈xenholmMarbleJroutofGra ̈ns Lady Stella) in 38th place and Poetic Annie (out of Myrens Anitra) presently placed 53 and one of Poetic Justice’s many successful show jumping offspring. Poetic Justice also has an Irish born daughter, Poetic Moonlight (out of Lehid Vida) in 23rd place and other Connemaras bred in Ireland among the top 100 are Sceilig Siofra (by Deise Sam Maguire out of Gentle Jessie) ranked in 7th place after among other things a bronze medal at the Swedish championships, Dunbelievable (by Kylemore Rocky out of Primula Pearls Blazer) in place 34, Drumcong Finn (by Seafield Fionn out of Westside Lady) currently ranking 42 and Lexus Justice (by Westside Fred out of Dunamoney Lass) in 62nd place. Other imports are Little Finnigan de la Praz (by Leam Finnigan out of Little Witch) from Switzerland who presently holds the third place in the ranking; the French-born Ix de l’Aulne (by Dexter Leam Pondi out of Castille de l’Aulne) who was 6th at the Swedish championships and is placed 15 in the ranking and the Danish Nygaards Fo ̈lfod (by Baunely’s Dipper out of Skovbo’s Dorthealilje) rounding off the top 100. The partbred Connemaras are also continuing to jump well. There’s a new Irish name, Wutang who is yet another of Westside Fred’s successfully jumping offspring, and the Swedish Hilma (another one by Poetic Justice) and Hip Hop (by Pommac) all making the top 100. A special mention, however, must be made of Sa’feds Frosty (maternal grandsire Roundstone Chief) who at the age of 22 still is competing very successfully and presently is the highest ranking partbred in 47th place. He gained his first competition points in 1994 and has been active in the show jumping circuit ever since, most years ranking top 100 with a succession of riders. What a pony. Since the unusually early national show in June a local show has been held at Bjo ̈rba ̈ck in Southern Sweden in collaboration with the New Forest society. Some 35 ponies were entered and participated both in hand and under saddle. In the in hand classes the yearling filly Big’s Cha Cha Cha (by Clifden de l’Aulne out of Lofty Abigail) took the youngstock champion title with the three-year-old filly Aramos Lucy (by Aladdine out of Rodbella) standing reserve. Lucy’s half sister O ̈nnarps Melizza (out of O ̈nnarps Graze) too the supreme championship title with Big’s Cha Cha Cha as reserve. The ridden classes were held in mixed classes together with the foresters. The Open ridden class, however, had only Connemara participants and was won by the stallion Coosheen Finbarr (by Glencarrig Prince out of Scarteen Mistral). The Open Working Hunter Pony class was won by a New Forest, but with a Connemara, Lofty Rowena (out of Lofty Romilly, half sister of the above mentioned Lofty Roseanne), a daughter of Coosheen Finbarr’s in second place. At this year’s young pony finals the Connemaras truly proved their worth as talented jumpers. The youngest ponies, the three-year-olds already set the stage for a memorable Connemara weekend. 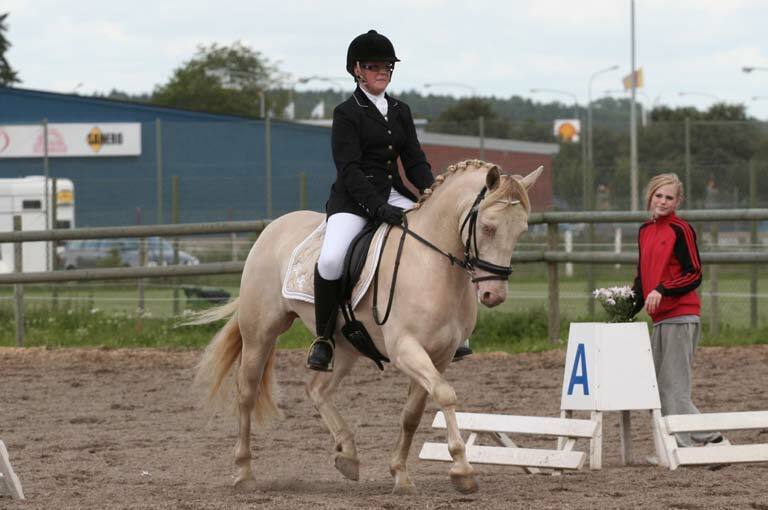 Among the ponies in height category D (140 – 148 cm) the first and fourth placed were all Connemara ponies with the second and third placed riding ponies both were partbred Connemaras. It was also a triumph for the Irish-born stallion Castleside JJ who had his first Swedish-born crop on site. JJ is the sire both of the winning Lofty Fionnuala (out of Lofty Fiona) and Hagalyckans Justin (out of Idholmens Zibylla) placed fourth. The riding pony Fix William (maternal grandsire Juno Rory) took second place and Poetic Starfighter (by Poetic Justice) took third. Among the three-year-olds competing in the ”movements” category Holmtebo Yale (by Hagens D’Arcy out of Hagens Yanine) was fourth in height category D. Yeats full brother Holmtebo Yeats then stepped forward among the four-year-olds and took second place in the jumping for category D. The five-year-olds finally also saw some strong jumping performances among the Connemaras. The stallion Poetic Kelly (by Poetic Justice out of Lofty Dusty Rambler) followed up on the talent he has already shown at three and four years of age and he won category D. Third placed to him was the riding pony Amoro (by Kamillo av Haga) with another Connemara in fourth place, Holmtebo Crested Ten (by Hagens D’Arcy out of Hagens Ultra) who won the class for four-year-olds last year. 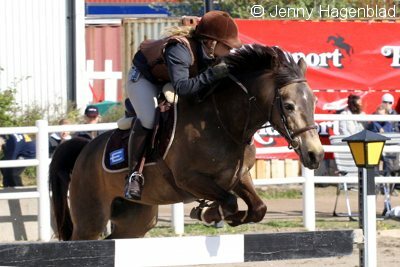 A pony that haven’t fitted under any of the headlines above but that definitely deserves a mention is Brol ̈otens Kenzo (by Finney Master out of Rambling Rosie) who recently took a silver at the Swedish championships in Western riding. Nice also to see that Edens Jaspis (by Janus out of Edens Honeybee) have given long distance riding a try. We are now halfway through the year and the summer season is full of championships both in hand and under saddle. Connemaras and their owners and riders have been out and about participating in all sorts of events. In the dressage arena several Connemaras successfully take on the riding ponies. 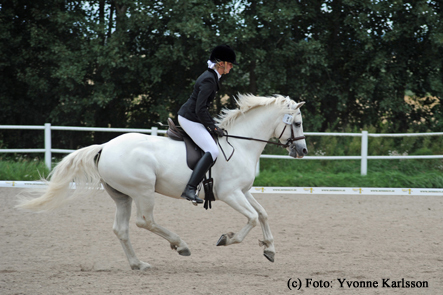 Two partbreds are on the ranking of the 100 ponies gaining the most dressage points. 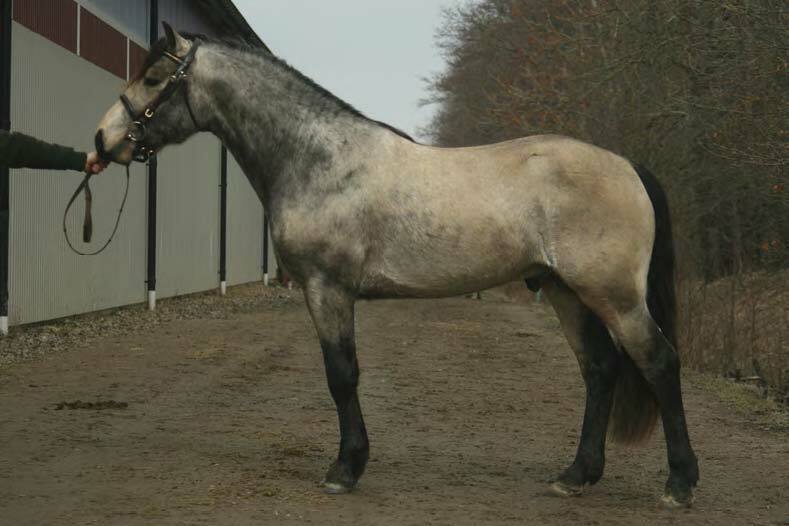 The Danish bred Chopin AM has a Connemara grandsire in Tootle U and is presently in place 26. Another successful partbred is Poetic Poetry. With Poetic Justice as his sire he is of jumping breeding, but still has a most respectable dressage career, and he was part of the Swedish team taking a bronze medal at the Nordic dressage Championships. Among the purebreds Rolls Royce has two gelding sons among the top 100. Backens Lotus (out of Princess Jasmin) continues to do well and recently won the dressage derby while Ragnarps Little Royce (out of Bolle Lusona) is in place 96. Another family connection is though Rolls Royce’s half brother Janus who is the sire of O ̈strahults Benz (out of O ̈strahults Sonette) in place 79. Benz has also done well in the show ring in previous years and twice been reserve champion gelding at the breed show. 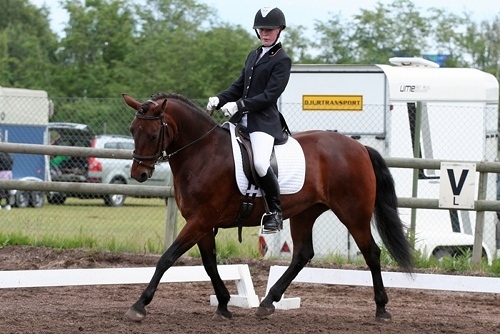 The remaining two Connemaras in the dressage top 100 are closely related too. The blue eyed cream Tic Tac (by Countach Campbell out of Ko ̈hls Rapsodi) is just a few points ahead of K ̈ohls Evelina (out of Hagens Ellina) by Countach Campbell’s half brother Shirley’s Thunderbell. 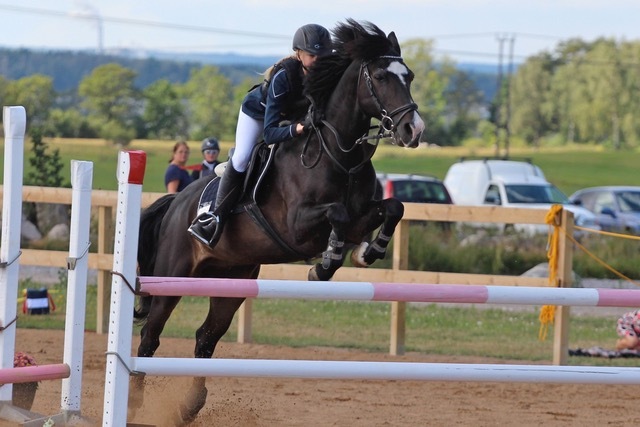 In June Connemara ponies and riders met in Norrk ̈oping where the Swedish Connemara society held the national show and, together with a local riding club, Swedish Connemara championships in dressage and show jumping. The dressage championship saw 21 partic- ipants divided into three categories. Among the smaller ponies the winner was Molliere (out of Brolo ̈tens Samba). He has a true performance breeding with the Elite stallion Finney Master as his grandsire. His sire is Juno Rory, the full brother to Rolls Royce, who himself had a long dressage career at the highest national level. Molliere started his career by being placed fourth in the national dressage championships for five-year-olds. Another pony to do well in the young pony championships has been Azalea (by Frederiksminde Hazy Chance out of Liljeg ̊ardens Graze) who last year won the dressage championships for six-year-olds. 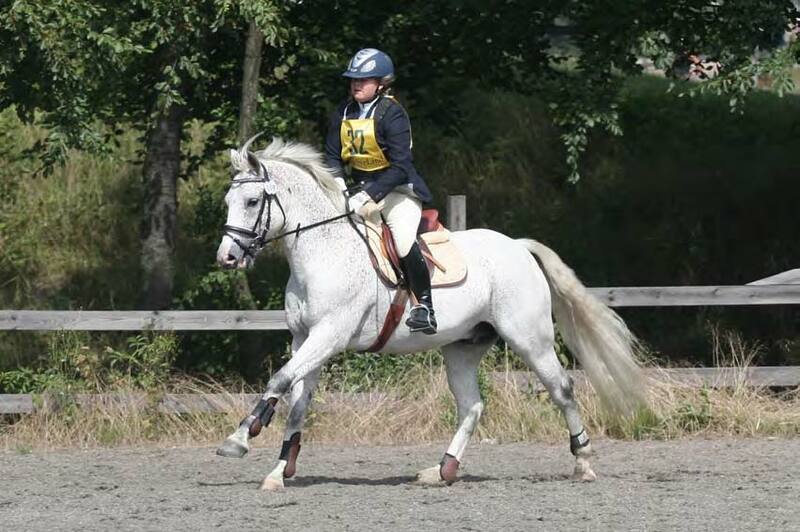 This year she participated in the Connemara championships and won among the larger ponies with a beautiful performance, but only a few points ahead of her half brother the stallion Golden Garlic (out of Ambrosia) competing with a new rider this year. Golden Garlic also participated in the class for overheight ponies and riders over the age of 18, this time with his former rider, and was again narrowly beaten. In this class the champion was Lidens Mr Li (by Janus out of May Li) who took his second Swedish Connemara champion title, the first one being won in 2008. Pony eventing in Sweden is still at a low with no Swedish ponies participating in the European eventing championships this year. At home there are ponies eventing, though not at a level that make them qualified for the courses at the European championships. Ranking second at present is the partbred old trouper Casper (by Cannon). Another one in the top ten is the stallion Nice-n’-Curly (by by Nice-n’-Easy out of Corinne II). 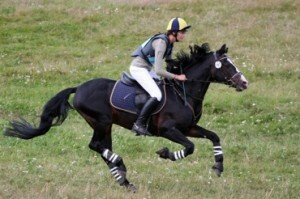 He took part in the Nordic eventing championships where he took the bronze medal. Other ponies to also take eventing points are Mosquito R (by Calvin Klein out of Marion Jones S) and the Irish-bred Glendun Lad (by Moyans Little Monkey out of Murphy Blue). The list of the 100 ponies with most show jumping points so far this year makes nice read- ing for the Connemara friend, or how about ten purebred Connemaras and six partbreds among the top 100 ponies of all breeds. Most show jumping points, and in number two so far, is the Swiss-born Little Finnigan de la Praz (by Leam Finnigan our of Little Witch) competing under the name of Little Finnigan. He has been out and about competing abroad at the Baltic Cup competitions in Norway and Denmark where he has won and been placed. OfthepurebredsfourarebredinSweden:Phalcon(byO ̈xenholmMarbleJroutofGr ̈ans Lady Stella) in place 4, Desdemona (by Brol ̈otens Joop out of Ti-Ti-Oo) in place 7 and Poetic Annie (by Poetic Justice out of Myrens Anitra) are all familiar names for those following pony show jumping at this level, while Brol ̈otens Cloetta (out of Molly) in 86th place is an interesting new name. 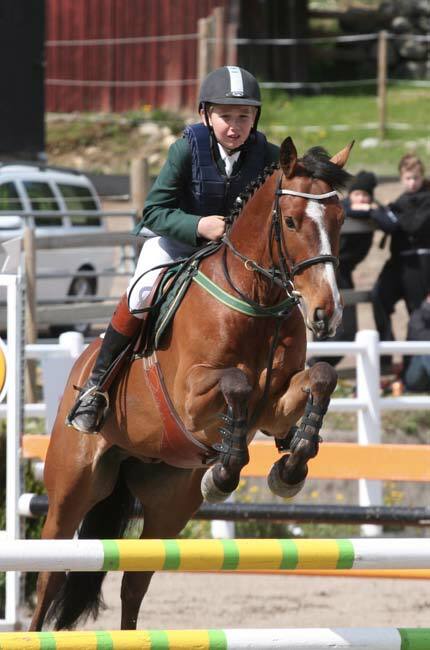 With Juno Rory as her father you would expect a dressage pony but together with her grandsire Ballydonagh Cassanova he has provided a healthy dose of jumping genes allowing Cloetta to compete and win in show jumping classes with fences up to 120 cm. Also on the top 100 is the French Ix de l’Aulne (by Dexter Leam Pondi out of Castille de l’Aulne). 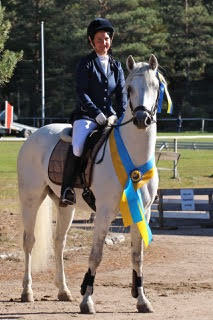 He came home from the Nordic Championships with both an individual and a team gold among the larger ponies. 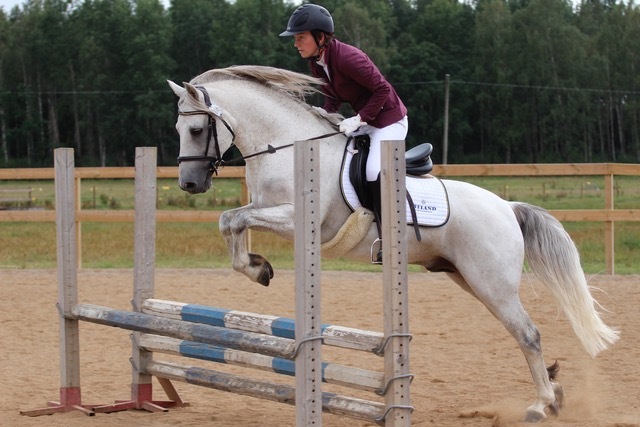 He also represented Sweden at the European show jumping championships in July. Ix’s team colleague at the both the Nordic and European Championships, Some Man for One Man (by Ashfield Bobby Sparrow out of Misty Maiden), is just outside the top 100. He has competed sparingly but was placed when competing in the Netherlands and took a third in the consolation class at the European championships. Other purebreds on the top 100 are Drumcong Finn (by Seafield Fionn out of Westside Lady), Sceilig Siofra (by Deise Sam Maguire out of Gentle Jessie), Lexus Justice (by Westside Fred out of Dunamoney Lass) and a new name from Ireland, Dunbelievable (by Kylemore Rocky out of Primula Pearls Blazer). 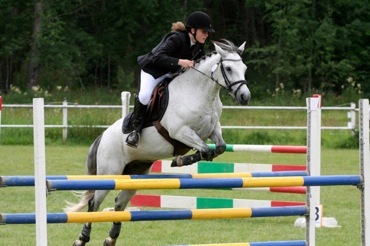 At the breed show three Swedish Connemara show jumping championship titles were competed for by thirteen ponies under difficult weather conditions. 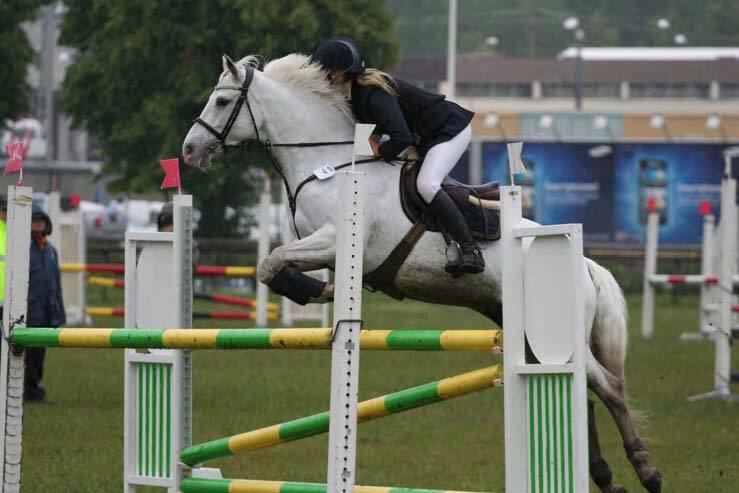 Winner among the smaller ponies was Idylle (by Kamik Breeze out of Gina 2nd) a pony of strong show jumping breeding who’s sire had his own successful show jumping career. Among the larger ponies the winner was the eight-year-old Holmtebo Our Winnie (by Hagens Zephyr out of Hagens Ultra). This young mare has had a solid career competing in the young pony finals as a four-, five- and six-year-old and now carrying on her career successfully among the adult ponies. The class for overheight ponies and / or riders over 18 had only two contestants with last year’s winner Nice-n’-Cherry (by Carnaby Patrick Hooligan out of Dory-Nice) coming out on top once again. Some of the three-year-old tests have been held during the spring while the rest will be held after the summer. 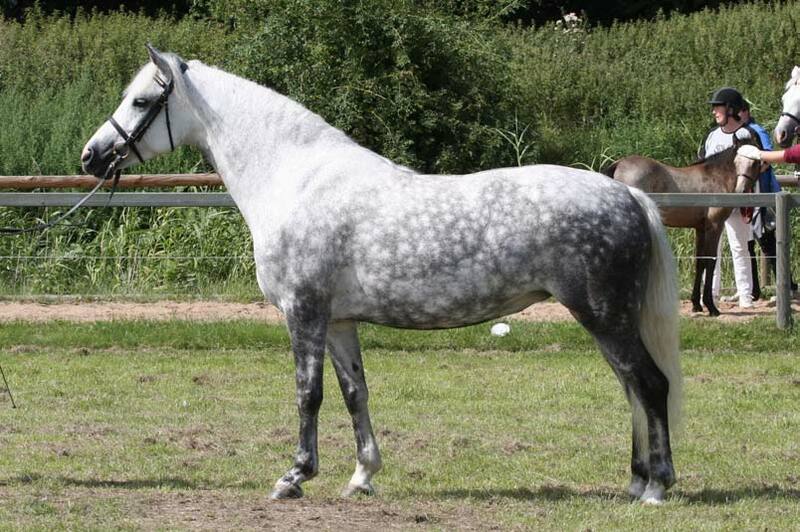 Among the Connemaras shown so far Hagens D’Arcy’s offspring and the Holmtebo stud have been very successful. 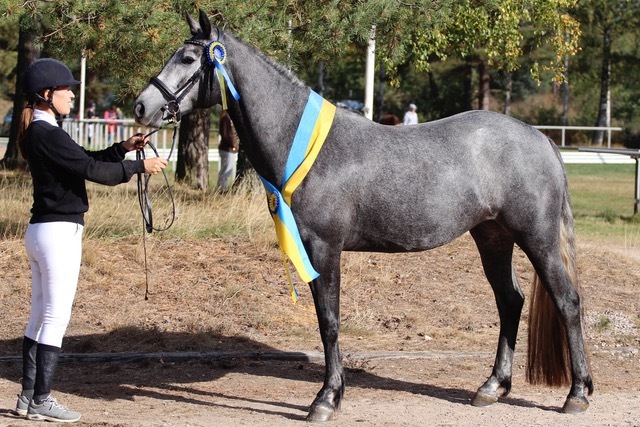 Out of four Holmtebo ponies by Hagens D’Arcy, three (Holmtebo Swift out of Hagens Star, Holmtebo Archie out of Hagens Annie and Holmtebo Yale out of Hagens Yanine) were given double awards, both for gaits and for jumping, at their three-year-old test. In his first three foal cohorts D’Arcy have eleven offspring that have participated in three-year-old tests and seven of these have double awards and one has a jumping award. A very promising beginning for a young stallion. Another stallion who’s offspring have distinguished themselves in the young pony activities is the Elite stallion Rolls Royce. This spring his daughter Hold Roxy Bellaria (out of Hold Bellarina Skylark) have added to his list of offspring with a gait award from a three-year- old test. The young L ̊angarno ̈ Cedrick has his first foal cohort turning three this year and his daughter Carnaby Lor Sparrow (out of Ashfield Flash Sparrow) was given a jumping award at her test. The national show saw a good turnout in spite of being held much earlier than usual. There were no yearling colts forward, but the yearling fillies had five contestants. 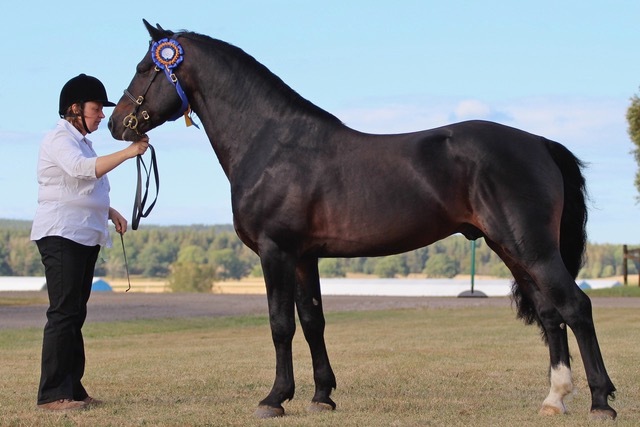 Win- ner was Bjennesby Janis Joplin (out of Hagens Yulie) by the Finnish stallion Rockfield Scarface. Among the two-year-old colts the winner was the Irish import Castle Verdi (by Janus out of Orph ́ee Schueracher). Verdi has an international pedigree with a Swedish born sire and a French born dam breeding him in Ireland. The winning two-year-old filly Holmtebo Walzing Mathilda (by Hagens D’Arcy out of Holmtebo Wait for Me) on the other hand has several generations of Swedish-bred ponies in her pedigree. Castle Verdi was awarded the youngstock championship with Bjennesby Janis Joplin as reserve. The older gelding class saw some very strong contestants with Lidens Mr Li, the winner of one of the dressage championship titles, winning and also taking the gelding championship to Hagens Zinzano (by Spinway Corona out of Abbeyleix Flora) who was second and reserve gelding champion. The two lads also each one a ridden class. Among the mares Hagens Hella (by Hagens Ryan out of Hagens Umbra) won the class for four- to six-year-old mares and Lofty Romilly (by Poetic Justice out of Rolo) the one for mares seven to ten years old. 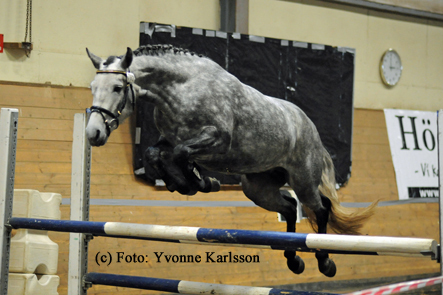 In the oldest mare class Hagens Rosmara (by Va ̈rnbergs Orion out of Hagens Andora) added another victory to her list. Her daughter, Hagens Umbra (by Hagens O’Chief) was third in the same class. Being the dam of Hagens Hella it made for quite a family reunion in the Best in Show ring later on. The class for mares not entered in the stud book was won by Markatta (out of Milldred), one of Gunne Anton’s few offspring. Secont to Markatta was Stockmossens Tindra (by Kamillo av Haga out of Stockmossens Timandra) who also too the allround pony title for the most successful pony participating in all the different events throughout the weekend. The class for three-year-old fillies was won by R ̊a ̊as Emerald (by Kulan Kavat out of Little Sweet Lollipop) who was much liked by the judges and was the eventual second runner up for the Best in Show title. Only two licensed stallions came forward, but two very good ones: Backuddens Rebell (by Janus out of Tyfon) in the older stallion class and his half uncle Erinmore Golden Marble (by O ̈xenholm Marble Jr out of Glaskopf Grey Joanna) in the younger stallion class. At the end of the day Golden Marble took the reserve Best in Show title with Rebells half brother, the two-year-old colt Castle Verdi, being chosen Best in Show. On July 24th the national show for the Connemara ponies took place. Judging exhibition classes was invited from France Yvonne Held, who raises both Connemara and Shetland po- nies in the stud Schuracher, together with Christina Sjölander-Johansson from Bolle stud in Bollebygd. Working Hunter class was judged by Mary Holdhaus and ridden classes by Anna Iletorp. The weather was with us and assessment of the young horses in the morning started with one year old fillies. Beautiful Bride Broderick was winning out of this class that included three participants. Gelding 3 & 1 year old had only one participant each and they were awar- ded a bronze medal. The full range was used by our judging couple. Two-year colt / gelding was also alone, but won a silver plaque. The notified five two years would be four mares with a streak and won did Fredericksminde Lofty Made with a silver. From Bjennesby and Ker- stin Johansson was the victor in the three-year class for fillies and Hagen Cup, Bjennesby Fergi. Fergi a powerful individual by Poetic Justice, was reserve champion young horses bea- ten by the one-year old filly Bride Broderick. After lunch was mare classes and Maggie May RC 1405 was the first to win a gold plaque. The next mare class received three gold plaques and winners were Dangan Memory RC GB M 1787. Lovön Destiny RC 1117 winner of next class and a gold. The class of mares not yet in the studbook held high class and the first two received the gold, won the class did Gentle Farm’s Breeze. Foal class was fine five participants and winners would be a daughter of last year’s stallion leased to Sweden, Clifden de l’Aulne. Mother is Yasmin Broderick and class of a high stan- dard in all but one foal received a gold rank on the plaque. Stallion classes are of course one of the highlights of the exhibitions and not many guys were notified but those who came received gold plaques. Winner here were Coosheen Fin- barr RC 99 before Starrhults Bossanova RC 106. The old Connemaras, 18 year-old Kazmir got a nice gold plaque. Last out of the day of the exhibition was the gelding class where Carl Bosson and his pony Elphin Darwin not only did they win the class but is also a fine display price which also Isa- belle Svensk received showing the one year old Bride Broderick. That would be a very long days coming to an end and finals. Champion young horse had already been appointed in this morning’s assessment of Bride Broderick as the winner. Color Cup, where black, brown or chestnut coloured ponies may be shown to have participated in the day. Winner would be mare Maggie May RC 1405 (bay) with reserve Shade’s Dark Rosa- lee RC 1368 (black). Best gelding was Elphin Darwin and it was time for Best In Show. In all that has been awarded gold or class winner with no less than silver. After few turns in the ring was stallion Coosheen Finbarr RC 99 to be today’s most beautiful pony with the mare Dangan Memory RC GB M in 1787 as a reserve. We’re half-way through the year and it’s time to take a peak at the rankings for the competing ponies. In dressage there are seven purebred Connemaras and two partbreds among the top 100 ponies. Compared to last years final ranking there are both some familiar old faces and some new names. Of the ones figuring in last years final ranking the partbred riding pony stallion Verdi (maternal grandsire Lofty Roderic) is presently highest placed in 5th place. He has been out competing internationally with two fifths from a dressage competition in Moorsele. Another partbred from last year’s top 100 is Poetic Poetry. Her sire Poetic Justice is known for siring excellent show jumper and his offspring has not been seen so much in the dressage arena, but Poetic Poetry shows that they can also do dressage with the very best and he has several wins on the national level so far this year. Among the purebreds Backens Lotus (by Rolls Royce out of Princess Jasmin) is presently in 25th place after some strong national competing. He represented Sweden at the Nordic – Baltic Championships in Drammen in Norway the first weekend of July and was there part of the silver-winning team of ponies 130 – 140 cm. Lotus’ cousin Golden Garlic (by Rolls Royce’s full brother Juno Rory out of Ambrosia) also continues to do well, competing mostly at the regional level so far this year. A third pony who has stayed in the top 100 since last year is the reliable Hagens Qumulus (by V ̈arnbergs Orion out of Hagens Fondora). 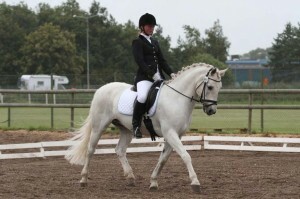 He has participated both in the European and the Nordic Championships several times and has hardly been out of the top 10 dressage Connemaras since 1996. This year he turns 20, but is still going strong. Among the newcomers we find another of Rolls Royce’s offspring, Ragnarps Little Royce (out of Bolle Lusona), who with his present 7th place is the highest placed Connemara. 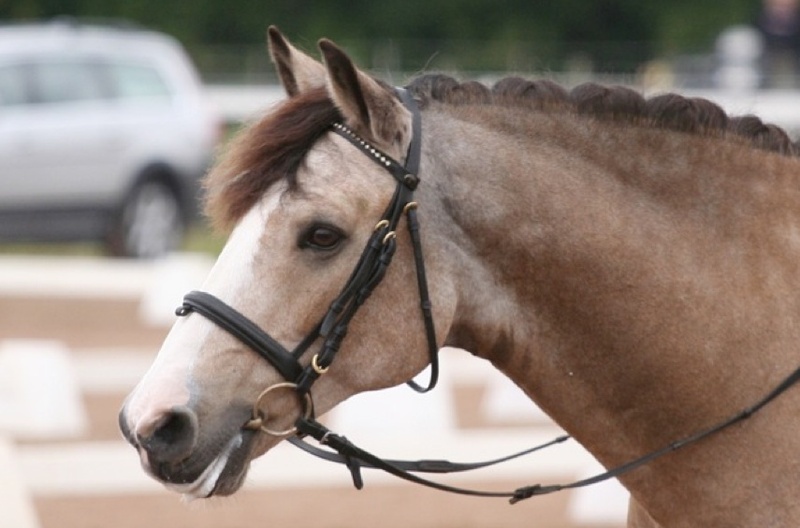 He has had a successful career as a young pony competing, and doing well, in the different young pony finals. Now he’s proving to be just as strong among adult ponies, being just shy of scoring 70 % in one of his competitions lately. A bit further down we find some more new names. Pyramus (by Janus out of Olympia II) is presently in 38 place. Last year he was third at the Connemara dressage championships and he continues in strength. Pyramus has V ̈arnbergs Orion as his maternal grandsire and is thus closely related to Hagens Qumulus and other successful dressage Connemaras. 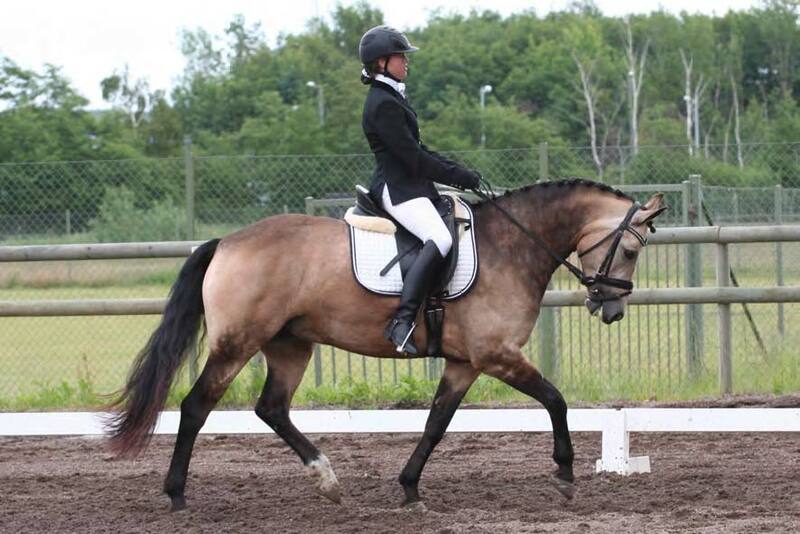 Another familiar face from the Swedish Connemara dressage championships to appear in the top 100 so far this year is Tic Tac (by Countach Campbell out of K ̈ohls Rapsodi). Last year he was second in the Connemara dressage championships for the smaller ponies. This year he has won on his only national competition so far. The final Connemara to be found on the present top 100 is K ̈ohls Evelina (by Shirley’s Thunderbell out of Hagens Ellina). 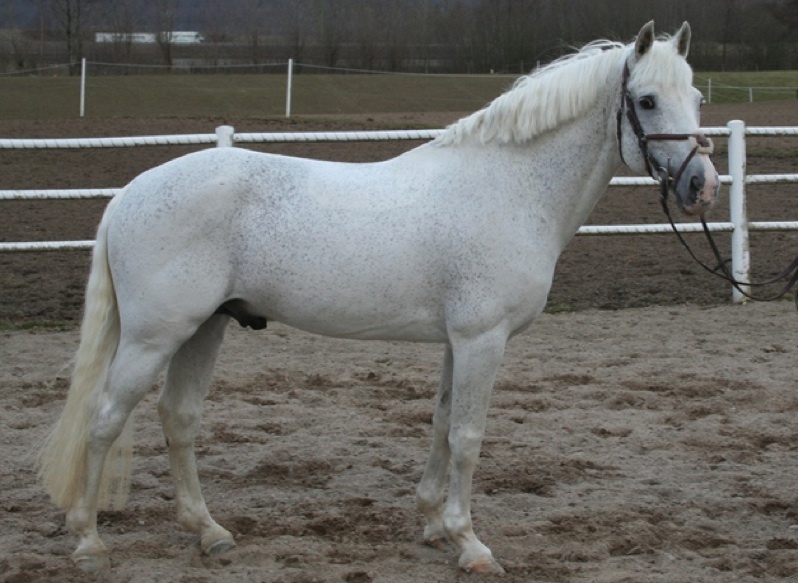 She is a full sister of K ̈ohls Fidolina who was on last year’s ranking and she is also related to Tic Tac as they share the Elite stallion Brantshammar Bell Dara as their paternal grandsire. 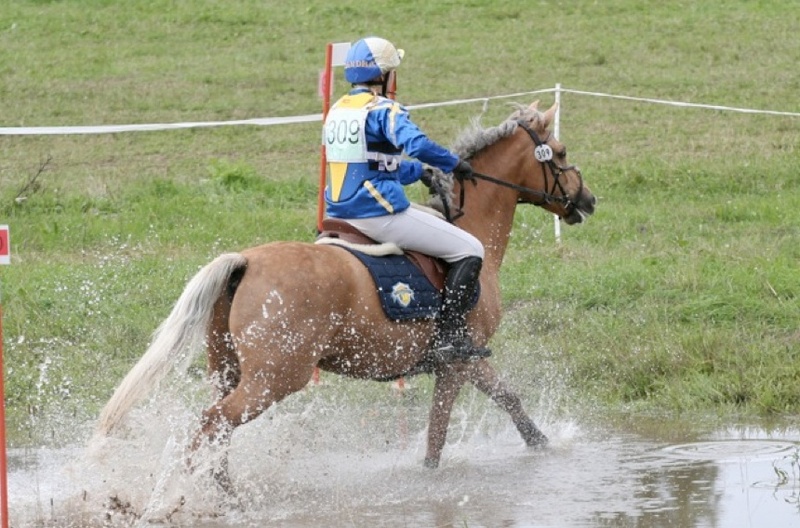 Sadly there have been very few Connemaras (or even ponies in general) eventing so far this year. 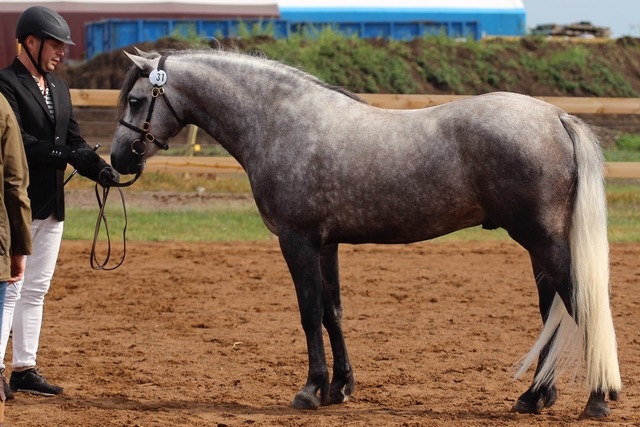 The stallion Nice-n-Curly (by Nice-n’-Easy out of Corinne II ) has been by far the most successful Connemara, but was unable to clear the vetting at his last competition. Fingers crossed it is nothing serious and that we will soon see this grand old gentleman out and about again. The list of the 100 most successful show jumping ponies so far this year has some lovely reading for the Connemara friend. No less than 14 purebred and four partbred Con- nemaras rank among the top 100. The most successful sire, as usual one might almost add, is Poetic Justice (by Ballydonagh Cassanova out of Gloves Misty) with two pure (Poetic Annie out of Myrens Anitra and Highlander out of Gryt ̊asa Kryddan) and two partbreds (Little Wonder and Poetic Shano) on the list. 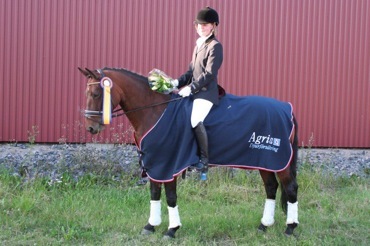 Poetic Annie did well at the Elite competitions at Norrk ̈oping Horse and Pony Show in May where she was 3rd in a 1m20 class. She was also 4th at the Swedish show jumping championships for ponies 130 – 140 cm. 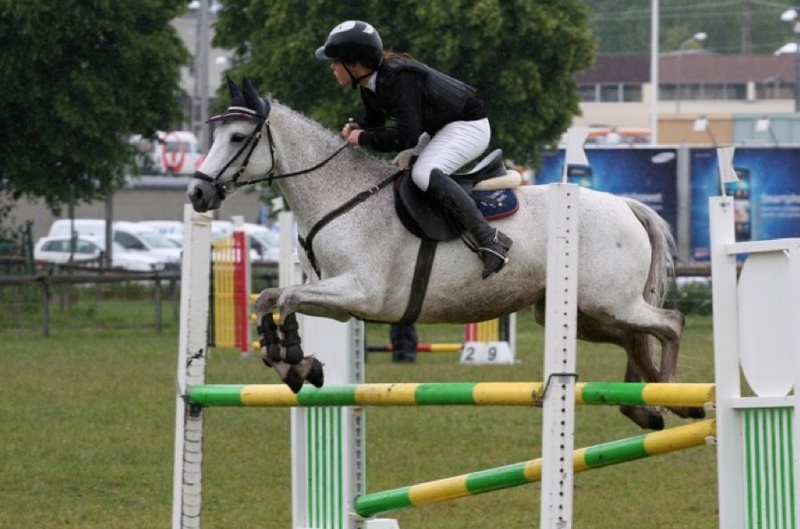 Little Wonder is presently fifth in the show jumping Ridsport Pony Cup among the ponies 130 – 140 cm. Other Swedish-born Connemaras to do well so far are Tammy Lane (by V ̈arnbergs Orion out of My Lane), the partbred Hip Hop (by Pommac) and presently ranking number six Desdemona (By Brol ̈otens Joop out of Ti-Ti-Oo). 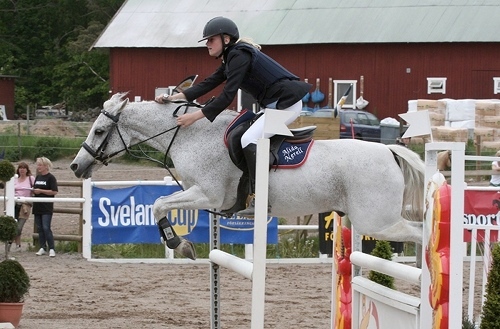 This fantastic mare is presently the most successful Swedish-bred show jumper of all breeds. 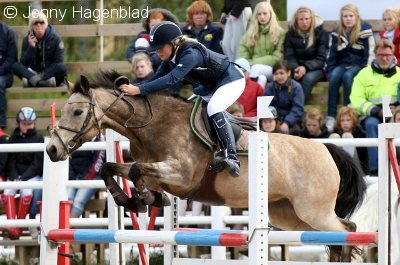 She competed internationally at the Baltic Cup in Vilhelmsborg, Denmark, where she was second in the 1m20 Grand Prix class as well as winning two other classes. 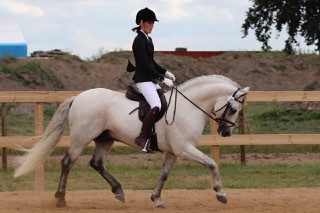 She is presently third in the Ridsport Pony Cup for 130 – 140 cm ponies, just behind Hip Hop. But performance Connemaras are also very popular to import and imported Connemaras have done very well too this year. 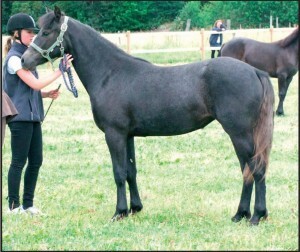 In particular the French ”I crop”, that is foals born in 1996, has done very well in Sweden. Presently both the leader of the show jumping ranking and the runner up (Ice and Fire d’Albran (by Dexter Leam Pondi out of Underline of Laps) and Idefix du Villon (by Quignon du Parc out of Hilda des Ludes) respectively) are French bred Connemaras born in 1996 as is the present number 13, Ix de l’Aulne (by Dexter Leam Pondi out of Castille de l’Aulne). All three boys have been successful both in Sweden and internationally with Ice and Fire d’Albran winning at both Middelfart and Vilhelmsborg in Denmark and Ix de l’Aulne winning in Vestfold in Norway. Ix was furthermore fourth at the Swedish championships for ponies 140 – 148 cm while Idefix was part of the gold winning team at the Nordic-Baltic championships for ponies 140 – 148 cm and he has been selected to represent Sweden at this year’s European championships. Another French bred Connemara to jump well this year, both nationally and interna- tionally is Lover de Vauper (by Thunder du Blin out of Daphne de la Dive), while the Swiss-born Little Finnigan de la Praz (by Leam Finnigan out of Little Witch, competing as Little Finnigan) has been one of the more successful ponies in the category 130 – 140 cm. 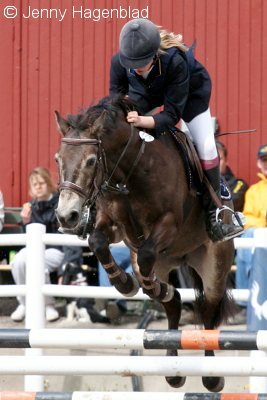 He took a bronze at the Swedish show jumping championships as well as an individual and a team gold at the Nordic-Baltic championships. Of course a large number of performance Connemaras come here from Ireland too and presently there are no less than five Irish bred Connemaras among the top 100 show jumpers. Of these Some Man for One Man (by Ashfield Bobby Sparrow out of Misty Maiden), Sceilig Siofra (by Deise Sam Maguire out of Gentle Jessie) and Lexus Justice (by Westside Fred out of Dunamoney Lass) have featured before in my Swedish news. Hesperus Eagle (by Ashfield Jovial Joker out of Ashfield Spinks), Harnells Tricky Dicky (by Rynn Richard out of Fermoyle Heather) and the partbred Tullineaskey Fear Ideas (by Templebready Fear Bui) are interesting new names regularly seen at the top of result lists. Some Man for One Man continues to do very well and was second at the 1m30 Grand Prix class at Moorsele, Belgium in April. He is also one of the ponies that will represent Sweden at the European show jumping championships in Bishop Burton at the end of this month. 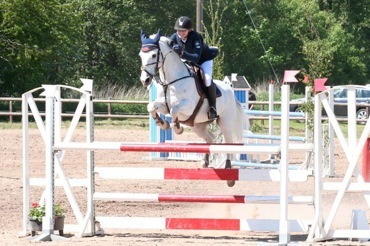 The partbred Tullineaskey Fear Ideas has been very successful in the pony category 130 – 140 cm. 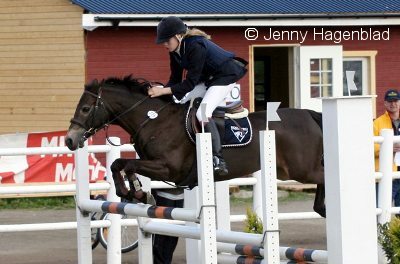 He has been winning both at Drammen in Norway and at Vilhelmsborg in Denmark, and he is presently sixth after three Ridsport Pony Cup qualifiers. Among the ponies 140 – 148 cm Westside Padraigh (by Westside Fred out of Aran Suzy) is in fourth place after winning the first of the qualifiers. The leading lady of Ridsport Pony Cup is however Sceilic Siofra among the 130 – 140 cm ponies who is well ahead of her competitors after winning two out of three qualifiers. Rumour has it that she after many successful seasons among in the show jumping circuit may retire soon to breeding. Let’s hope all goes well and so that she can pass on her exceptional performance genes. A couple of local shows have been held. 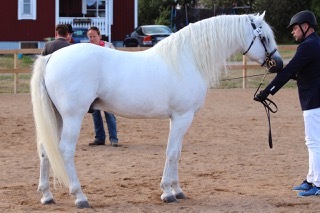 In mid-June Norrk ̈opings Ridklubb, the venue for last year’s breed show, gathered a nice crowd of ponies to be shown both in hand and under saddle. Twelve of the ponies shown were awarded golds and Hagens D’Arcy (by Hagens O’Chief out of Hagens Morning) was given a gold for his progeny group and won the class. In the championship ring, however, it was his sire Hagens O’Chief who could see his daughter Hagens Bella (out of Hagens Xquisite) take home the Champion title with D’Arcy’s two-year-old daughter Holmtebo Winding Rose (out of Holmtebo Wait For Me) as the reserve. The two ridden classes were won by Hagens Bonnie (by Carnaby Patrick Hooligan out of Winnie Love) and Holmtebo April Lily (by Hagens O’Chief out of Hagens Ayla) respectively with Blackbird (by Golden Rover out of Lady Chief) winning the Working Hunter Pony class. There has also been some local pony shows where Best of Breed titles have gone to Lowis Calla May (by Juno Rory out of Merrielegs), Hagens Bonnie and Hagens Yoleen (by Frederiksminde Hazy Chance out of Hagens Surf) and Lidens Mr Li (by Janus out of May-Li) was the highest scoring Connemara at a drop-in show where no Best of Breed title was awarded. A few of this year’s three-year-old tests has been held during the spring with others due to be held during August and September. At the test in O ̈rebro Arda’s Sprinter (by Hagens O’Chief out of Backuddens Greenwood Haze) showed his talent over fences and was given a jumping award. Sprinter is thereby qualified for the finals this autumn, and hopefully he will be joined by other Connemaras after the summer.